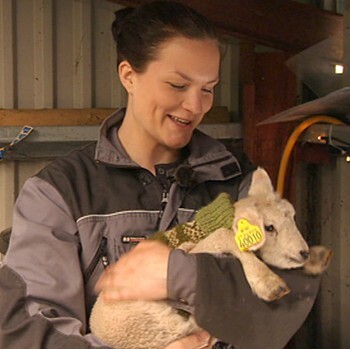 Spring and lambing means busy times for the mother of three and farmer Christine Soma (26). 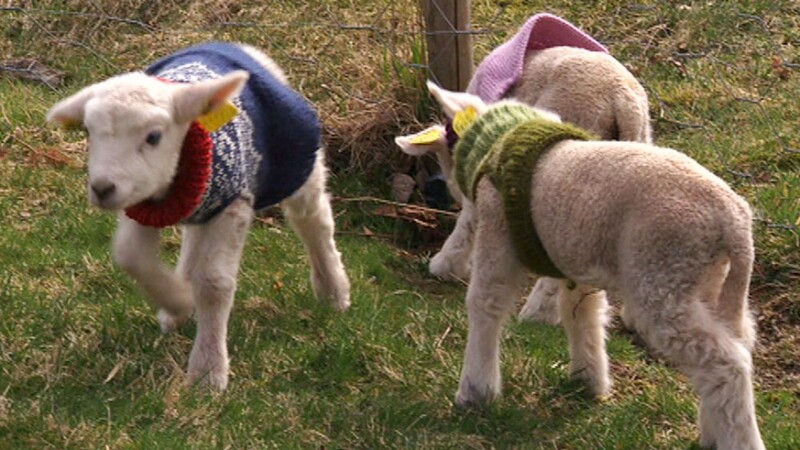 She still has taken the time to knit beautiful christening gifts for this year’s four legged newcomers. – The Marius pattern is very trendy. It is this spring’s hit, she says to Norwegian Broadcasting Cooperation, NRK. Christine is a farmer and runs the farm on the Ombo Island in Rogaland, Western Norway. Winter has lost its grip and spring has arrived. That means that this year’s Easter lambs are coming. Christine is relatively new as a farmer. A few years ago she moved from Stavanger to the island with about 300 permanent residents. Since then, life has been busy. She has already got many lambs on the farm, but when the first ones arrived a problem occurred. When the third lamb was born the mother only had two teats and there were not enough food and warmth. So far, she has knitted nine Marius sweaters. 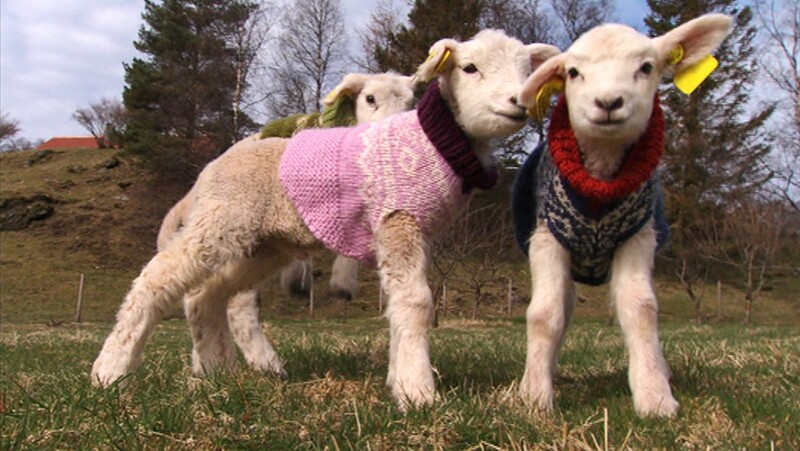 With an extra layer of wool the lambs keep warm outside and the knitting has been life-saving for the little ones. – What do the neighbors say? – They say “that is typical of you, Christine. It is only you who comes up with something like that.” We only live once, why not have fun. Christine is happy with the choice to replace the cafe and office with fresh air. – I have not regretted a single day. Although I have been sitting here tired with three small children, 80 sheep and a man in the North Sea, I have never regretted. It is nice to know you are alive, and then you appreciate days where you can sit and watch the little lambs jumping around you, says Christine Soma. Great!! 🙂 :-)I have of course a couple og Marius’ in my wardrobe.